Is Hernia Mesh Causing You Pain and Discomfort? Wondering if you are eligible to file a hernia mesh lawsuit or claim for compensation? Right now, we are seeing a big increase in hernia mesh claims throughout the United States. Dangerous hernia mesh products continue to flood the market and patients continue to suffer pain and undergo multiple surgeries because of faulty hernia mesh. Medical device manufacturers are putting the public’s health at risk while raking in the profits. Manufacturers are rushing hernia mesh products to the market without proper clinical trials or safety checks. While the FDA is aware of the issue, there are still numerous unsafe mesh products in circulation. Hospitals and surgeons continue to use these products on a daily basis while individual patients are kept in the dark. If you’ve suffered from complications related to a hernia mesh, you already know how serious the problems can be. Maybe you’ve had intestinal fistulas, bowel perforations or a number of other known complications and side effects from hernia mesh. The good news is that you’re not alone, and you have come to the right place for help. Hernia mesh complications have destroyed the lives of thousands of people. Thousands of hernia mesh lawsuits have been filed in federal and state courts across the country. We want to help you take action and get back your life. It’s very important that you receive the proper compensation for all your medical bills, lost wages, pain, and suffering. Contact us now if you’re suffering. You may be entitled to substantial compensation, and the consultation is always FREE. What is Hernia Mesh and How is it Used? First, let’s explain what a hernia is. A hernia is an enlargement or projection of a tissue. This includes any muscle or a membrane within the human body. When tissue extends beyond its normal limits or bulges out, it is said to be a hernia. 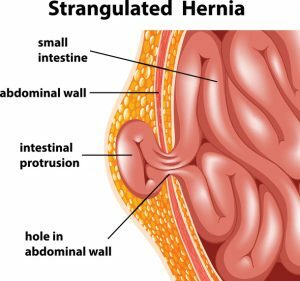 While hernias may not harm the human body initially, as it enlarges, it can cause unimaginable pain to the person experiencing it. Hernias can result from many causes, from genetics to poor lifting techniques. Interestingly, age is not a significant factor in determining one’s hernia risk. Hernias can occur in both adults and children. 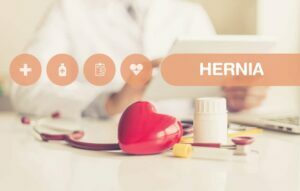 We commonly refer to three different types of hernias (although there are more) depending on the cause, or location they occur within the human body. An inguinal hernia refers to those that occur near the groin area. The groin area tends to be one of the most common areas for a hernia. In fact, some 600,000 individuals in the U.S. undergo surgery each year to repair this type of a hernia. The best treatment for primary inguinal hernias is considered to be the Lichtenstein repair. Not known to be a difficult procedure, general surgeons may use this type of treatment in addition to specialists. The benefits of this intervention are reduced pain and a faster period of recovery. For bilateral hernias, a laparoscopic repair is not only recommended but necessary. There are a few factors that influence the operation type, but the most important is cavity size. As an example, hernia mesh should not be used on cavities smaller than 10 cm in diameter. This is because leukocytes (white blood cells) have difficulty accessing the injury site. A strangulated hernia, resulting from a protrusion in the abdominal wall. Umbilical hernias originate near the belly-button and are most common in young infants. These are not usually surgically repaired in children. Typically, once the child reaches the age of 3, the hernia shrinks and heals by itself. Some mothers try to increase the speed of the healing by tapping a coin to the bulge and forcing it to stay there, but this method is not medically tested or recommended. In some special cases, umbilical hernias do require surgical intervention. You can read more on infant hernias here. As with all hernias, a weakness in the intestinal wall is the cause of these protrusions. This, in turn, causes a protrusion in the abdominal wall. Incisional hernias occur in areas where a previous incision was made in the abdomen. This could include any type of operation, including previous hernia repair operations. “Reoccurrence” is another name for this injury and is frequently used in hernia mesh lawsuit cases and documentation. How Dangerous is Hernia Mesh? The FDA has uncovered serious issues with several different hernia mesh products over the past decade. Big name manufacturers such as Bard, Johnson & Johnson and Medtronic have all been named in recent hernia mesh lawsuits. To understand the risks, it’s important to understand the history and application of mesh in hernia related operations. Surgical mesh has been used in various types of operations dating as far back as the 1940s. At the same time, synthetic polymers (plastics) were also being created and developed for the first time. One polymer, in particular, polypropylene, became the standard material used in the construction of surgical mesh. By 1960, polypropylene had been used in thousands of patients in hernia operations. The hope was that with the extra support from this mesh, the damaged tissue could heal more efficiently and thus prevent hernia reoccurrence. Read more about the history of hernia mesh. This modern surgical mesh is usually a piece of woven medical-grade plastic that is inserted into the site of a hernia and helps strengthen the affected area. During the operation, the mesh is inserted in a folded position, and it pops out once inside the patient. Typically via the assistance of a spring. Again, this is usually a good solution to a problem that can be debilitating and frustrating. It keeps the muscle wall stronger and prevents the organs and tissue behind the abdominal wall from popping back through. It requires no maintenance and can stay in the body for years without issue. On the other hand, this device can have some pretty serious complications if it malfunctions. Since the mesh is typically placed near major digestive organs of the body, particularly in an abdominal hernia, the resulting injuries can be severe. So how does the mesh malfunction? One primary culprit is the mesh’s structural material, polypropylene. With the advancements in medical diagnosis, doctors became aware of a possible linkage between polypropylene mesh material and several health complications. Most injuries and symptoms originate and are localized at the operation site when this material is used. Infections are one of the most common issues when a coated mesh is used. However many symptoms and side effects can be linked to polypropylene. Please see our hernia mesh complications page for additional information. The FDA has received numerous hernia mesh complaints through its MedWatch program. These complaints prompted them to release an FDA safety communication, which is intended to inform patients about the true risks of hernia mesh. The FDA notice states that most of the serious mesh complicates reported have been linked to hernia mesh products that have been removed from the market. However, serious complications continue to be observed. You can also read about some of the prior polypropylene mesh settlements (pelvic and hernia) to get a sense of the compensation some individuals achieved. Am I Eligible to File a Hernia Mesh Lawsuit? Possibly. We won’t know for sure until you contact us with the details of your case. However, most eligible patients are those who underwent hernia mesh surgery and now have pain, complications, and other side effects as a result. Thousands of hernia mesh lawsuits are currently on file throughout the United States. There are collections of lawsuits in different areas of the country, which focus on the various manufacturers of hernia mesh. For example, most Bard hernia mesh lawsuits are moving forward in Ohio. Around the country, people are filing individual lawsuits against the manufacturers of hernia mesh products and taking back control of their medical issues. If you are suffering from hernia mesh complications, you should contact an experienced lawyer as soon as possible. All legal claims have time limits. You may be able to get significant compensation for your pain and suffering, missed work and medical bills. You can contact us by using this form. Please include as much detail as possible. Helpful information includes the location and date of your operation, the manufacturer of your mesh (if known), and any symptoms you’ve been experiencing. To speed up the entire process, you can also retrieve and send us surgery reports or medical records from your hernia mesh surgery. If you’ve suffered pain and other complications from a hernia mesh, you already know how severe and life-altering these problems can be. Maybe you’ve had intestinal fistulas or bowel perforations. You may have also suffered from major irritation or hernia mesh infections. Many others are suffering in similar ways, and thousands are choosing to pursue legal claims for their pain, suffering, and medical expenses. These problems have affected thousands of others, and new cases continue to be reported on a daily basis. We can help! When investigating and filing a hernia mesh lawsuit, it’s essential to have experienced legal professionals on your side. An experienced professional can help win your case and reach a more substantial and faster settlement for you and your family. As an independent team of expert attorneys, we provide years of experience in FDA recalls relating to medical devices (including mesh) and pharmaceutical drugs. With hernia mesh cases, it’s no different. Our experience and knowledge of the different manufacturers, hernia devices and recent litigation give us a clear advantage over other firms. Most importantly, we always work on a contingent fee basis. In other words, we get paid only if you win. Contact us now. You may be entitled to substantial compensation, and the consultation is always FREE. We are helping people who underwent hernia mesh surgery and now suffer complications and side effects as a result. To get started, just fill out the short form below. 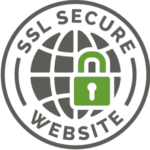 All information is kept confidential. Your submission alone does not create an attorney-client relationship. Are You Eligible for Compensation? FInd Out Now. How accurate is the information on this site? What information do I need for my consultation?